What are the opportunities for inner wellness tourism from Europe? Wellness tourism is possibly be the fastest growing segment of the global tourism market, with Europe as its main source market. European inner wellness tourists wish to keep up with their healthy lifestyles on holiday, including yoga and meditation. They value sustainability, authenticity and a personal approach. There is increased interest in transformative experiences, digital detox, outdoor activities and sleep enhancement. Which European markets offer opportunities for inner wellness tourism? What competition do you face on the European market for inner wellness tourism? Through what channels can you get your inner wellness tourism products on the European market? What are the end market prices for inner wellness tourism products? Wellness tourism is travel associated with the pursuit of maintaining or enhancing one’s physical and inner well-being. It is based on relaxation and the proactive prevention of illnesses. Physical wellness tourism includes visits to a spa and a variety of treatments, like beauty treatments, massages, detoxification and thalassotherapy. This study focuses on inner wellness tourism. See our study about physical wellness tourism for more information on tourism that focuses on physical well-being. Health and safety are important to European tourists. They often inquire about the safety of their destination. Unclean treatment/classrooms or equipment are unacceptable and likely to result in bad reviews after their holiday. Pay attention to general safety measures. Inner wellness experience providers should make sure their facilities and equipment are clean, and hire experienced staff. Accommodation establishments should have safety measures in place, such as smoke detectors, fire extinguishers, emergency exits, first-aid kits and 24-hour medical assistance. Safety is important to European tourists, especially because some developing countries are politically unstable. Most commercial tour operators don’t offer holidays to countries that their Ministry of Foreign Affairs has declared unsafe. This has led to a drop in tourism arrivals in countries like Mali, Egypt and Kenya. Keep (potential) customers updated on changes in the safety situation in your area. For example, through your website and through your staff. Be open and honest in your communication: clearly indicate which areas are safe and where safety might be an issue. Your customer has plenty of information sources too. Tourism providers’ eco-friendly activities are increasingly important to European travellers. European inner wellness tourists are generally very concerned with sustainability. Incorporate sustainable and environmentally friendly practices. For example by installing water saving taps and showers, working with local products or using solar power and/or solar cookers. For more information and best practices, see the UNESCO World Heritage Sustainable Tourism Toolkit. In addition, see our study about the need for sustainable suppliers. Most European wellness tourists are health conscious and lead a healthy lifestyle. When booking a wellness trip, they often look for elements that allow them to extend this to their holiday. For example, by booking accommodation that pays attention to healthy food and optimal sleeping arrangements. Inner wellness tourists generally prefer organic, local food. If they adhere to a specific diet at home, they look for these options on holiday as well. Examples include gluten-free, vegetarian, paleo or low- carb/high-protein meals. When it comes to accommodation, preferences can range from simple authentic accommodation to luxurious and unique settings. Educate kitchen staff on healthy nutrition, including organic, local and dietetic food. Clearly communicate the food options you offer in your marketing, with good quality photos. Offer accommodation that meets the requirements of the type of tourist you are targeting (relatively basic versus luxurious). European inner wellness tourists are interested in new, authentic experiences or treatments. This can range from traditional/culture-based therapies like acupuncture or body massage, to mind-body retreats. Eastern wellness offerings such as yoga/meditation retreats or Thai traditional massages are popular. New, authentic treatments may appeal to European inner wellness tourists provided the wellness benefits are clear. Offer a unique and differentiated product by combining location-specific and authentic elements. For example by using local natural resources or products and local traditions, skills or ingredients/herbs. Team up with local wellness or travel trade associations and develop a national brand image as an inner wellness tourism destination. This can be based on local traditional or nature-based wellness and healing treatments. You could also engage local spiritual leaders such as a lama. Location-specific offers can become the 'signature treatment' of your destination, which also distinguishes it from competitors. Inner wellness tourists travel for themselves. They often travel alone to enhance their inner well-being. This is a very personal process that requires a personal approach. Make each guest feel unique and special. Communicate your emphasis on a personal approach in your marketing. These travellers are (soon to be) retired and usually have an above-average income. They are at a changing point in their lives, and could for example be dealing or have dealt with a burnout. As a result, they are increasingly interested in inner wellness and are ready to explore more of it in new destinations. They generally demand higher standards in accommodation and are more concerned with authenticity, food, location and a personal approach than with costs. When you focus on this segment, make sure you can meet their high standards in accommodation, food, location and personal approach. For more information, see our study on senior travel. At home, busy professionals are running from appointment to appointment. To them, an inner wellness holiday means rest. They especially enjoy semi-therapeutical sessions to clear their heads and like a combination package with cultural sightseeing. These travellers often seek reflection and want to focus on what is important in their lives, both at work and at home. Their inner wellness holiday has to be mentally challenging, but above all should help them relieve their stress and detox. To appeal to these travellers, emphasise the professional benefits of your offer such as less stress and higher productivity. This group also actively pursues inner wellness in daily life. They often practise yoga on a weekly or daily basis to purify their mind and body, and are very conscious about their diet and mental health. As experienced practitioners, they may have experience with inner wellness holidays (although not necessarily long haul). They prefer in-depth sessions, as authentic as possible, and don’t require luxury. In fact, if a location is too luxurious they might think it is not real or authentic. When focusing on this segment, make sure you can provide in-depth and authentic versions of the activities/therapies you offer. In your promotion, explain the origins of your activities/therapies and how you are working with them today. 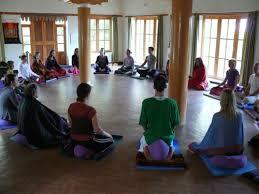 Inner wellness retreats are very popular among young backpackers from Europe. Besides the spiritual experience, they see it as a cheap way to spend time at the destination. Often they are even hoping to get the experience for free. Don’t focus on backpackers as pre-booking clients, as their main motivation for inner wellness holidays might be the low price. Because backpackers often travel non-organised, they are difficult to reach. However, you could sell excursions locally (for example through flyers at hostels and hangouts), with low-budget options to match their needs. 3 . Which European markets offer opportunities for inner wellness tourism? Wellness tourism is a growing segment within global tourism, accounting for 6.5% of the market. Between 2013 and 2015, the total number of wellness trips increased from 587 million to 691 million. Wellness tourism revenues also grew more than twice as fast as overall tourism, reaching €474 billion in 2015. This represents an impressive 14% increase since 2013. Wellness tourism revenues are projected to see a further 38% growth by 2020, to €680 billion. Although 83% of global wellness trips are domestic, interest in long-haul wellness tourism is growing. Between 2013 and 2015 the number of international wellness trips increased by 22%, compared to 17% for domestic trips. This amounted to 116 million international wellness trips in 2015, at a value of around €68 billion. Expenditure on international wellness tourism also grew much faster than domestic expenditure, with 20% compared to 11%. Within Europe, the largest wellness tourism source markets are Germany, France and the United Kingdom. Again, these figures combine domestic and international inbound trips. However, they do reflect the interest in wellness trips from these markets. Furthermore, these countries are also the largest source markets for trips to developing countries in general. Other European countries with high potential for wellness tourism are Austria, Spain, Switzerland and Italy. Study your options in Germany, France, the United Kingdom, Austria, Switzerland, Spain and/or Italy. European consumers are becoming more and more aware of the importance of a healthy lifestyle and are taking preventive measures to maintain and improve their health. They are becoming more familiar with alternative health and wellness treatments. This is mainly driven by the high availability of wellness treatment information on the Internet, as well as the many celebrities advocating wellness and popularising inner wellness practices such as meditation, yoga and Ayurveda. In this context, European consumers no longer see inner wellness activities as a luxury but as part of their regular health maintenance. For example, people incorporate yoga and meditation into their daily lives to relieve and prevent stress. European wellness tourists increasingly see a wellness holiday as health-related exercise rather than a holiday just for pleasure. They are integrating inner wellness benefits to escape their hectic daily routines, relax and recharge. Offer wellness experiences and programmes that specifically aim to improve your guests’ well-being. European tourists increasingly seek to integrate health and wellness elements into their trips. They choose hotels that offer healthy rooms, healthy menus, spas, fitness facilities and other wellness activities. This type of secondary wellness tourism is growing fast, with a growth of 20% in trips and 16% in expenditure between 2013 and 2015. This is well above the growth rate for primary wellness tourism, which increased by 2% and 5% respectively. Inner wellness experiences are also increasingly added as part of a holiday programme. These add-ons are usually a consecutive number of days, preferably at the beginning or the end of a holiday package. Develop small inner wellness modules that tourists can add to their holidays. Where wellness tourism used to be mainly associated with senior travellers, the average age of wellness tourists is now falling. For younger generations, inner wellness holidays can relieve the stress from their busy work life and/or education and help prevent issues like burnout. There is also an increasing offer of yoga and mindfulness for children, with the same health benefits as those for adults through programmes and exercises that suit their age. Focus on younger inner wellness tourists as well as senior tourists. As men are becoming increasingly interested in inner wellness, the number of European male wellness tourists is rising. More so than women, men prefer their wellness trips to be active and focused on fitness or sports. In between these activities, they recover and relax with a massage or yoga class. At the same time, in this age of women’s empowerment there is an increased interest in women-only wellness travel. These trips were traditionally associated with pampering and the softer side of wellness, but this is evolving. Today, women are increasingly interested in adventurous wellness travel and inner wellness experiences that focus on emotional healing. Offer wellness modules and/or packages specifically for men or women. To appeal to male wellness travellers, develop active holiday packages with optional wellness components. For more information on women’s wellness and best practices, see Review My Retreat’s Top Women’s Retreats and Global Wellness Summit’s A New Feminist Wellness. European tourists require their tourism products to be authentic and allow them to experience their destination like a local. This trend is here to stay, but is also evolving into an increased interest in ‘transformational’ or ‘transformative’ travel. Transformative travel offers personal growth and enrichment through self-reflection and (re)connecting with nature and culture. These values align perfectly with the purpose of inner wellness travel. Providers are now trying to take wellness tourists on transformational journeys. They are linking activities and sessions through storytelling, firmly rooted in local culture and nature. Add potentially transformative aspects to your product offer, for example by focusing on storytelling. However, be aware that what makes an experience transformational varies from person to person. Be aware that this type of tourist is looking for a more in-depth experience than your average customer. You should carefully select the information, tour guides and tour items you offer them. For more information and best practices, see Skift’s The Rise of Transformative Travel and Global Wellness Summit’s A New Era of Transformative Wellness Travel. As Europeans become increasingly addicted to their devices, taking a break from technology for a so-called digital detox is becoming common. Technology-free spas, cruises and safaris offer an ideal context for tourists to disconnect and relax. Silent retreats take this one step further, allowing inner wellness tourists to enjoy maximum peace and quiet. Of course it doesn’t have to be quite so extreme, but inner wellness tourists often like at least a few days of digital detox. Along with this need to be disconnected from technology, there is a desire to reconnect with nature. Between living in urban areas and working in office buildings, many Europeans have limited access to nature. Getting back to nature is strongly associated with peace and calm, making this a perfect setting for inner wellness experiences. Great examples are yoga classes on the beach, or meditation sessions in a forest. Consider your options to offer your guests a digital detox. This can range from completely technology-free packages to banning mobile devices on specific days or at particular locations. For tips and best practices, see the Adventure Travel Trade Association’s Digital Detox Design and Fast Company’s Designing for Digital Detox. Provide (some of) your inner wellness experiences in an outdoor setting. Offer additional activities in nature, such as walking, swimming or cycling. Healthy sleeping patterns are an important factor in both mental and physical health. Many Europeans get less sleep than recommended. This is leading to an increasing interest in sleep enhancement offers during wellness travel, ranging from add-ons to complete sleep therapy programmes. Common elements are sleep-inducing yoga or massage sessions with aromatherapy, as well as light therapy, special pillows, sleep enhancing menu options or sleep-tracking technologies. If you have access to the required expertise, offer sleep enhancement modules or complete programmes. There are some additional requirements that apply to inner wellness tourism. EuropeSpa quality standards - initiated by the European Spa Association, these standards contain quality and safety criteria for health and wellness providers. Wellness-Hotels & Resorts International quality standards - these leading German quality standards for luxury wellness hotels and resorts serve as suitable guidelines for upscale wellness hotels. ISO standards for thalassotherapy and wellness spas - these standards establish service requirements for thalassotherapy and wellness spas. Consider applying for voluntary quality standards and certifications. However, keep in mind that the cost of implementation can be high and regulations are strict. When it comes to adventurous programmes, three international ISO standards support safe practices: 21101, 21102 and 21103. Additionally, some countries have their own voluntary standards. For instance, BS 8848 in the United Kingdom. 6 . What competition do you face on the European market for inner wellness tourism? Popular developing country wellness destinations for European wellness tourists are located especially in Asia-Pacific. This region has strong traditions of inner wellness practices, such as yoga, massage and mindfulness. Examples of popular destinations are India and Indonesia. They offer a broad range of wellness experiences, combined with beautiful natural surroundings. India is also the birthplace of Ayurveda. In Indonesia, Bali is an especially renowned wellness destination. In 2015, Asia-Pacific became the fastest growing wellness travel region ahead of Europe and the United States of America. Thailand and Costa Rica are the fastest growing wellness destinations. Thailand is a traditionally popular destination, especially known for its massages. Relative newcomer Costa Rica is the world’s happiest country, with its unofficial motto ‘pura vida’, which translates to a carefree, laid back and optimistic way of life. This makes it a perfect fit for inner wellness tourists. Other Asian destinations whose popularity is increasing rapidly are Indonesia, India, Bhutan, Vietnam and Myanmar. In Latin America, Caribbean islands (especially smaller islands like St. Lucia), Nicaragua and Brazil are also gaining ground. In the Middle Eastern and African region, Morocco’s popularity is growing particularly fast. Use your region’s unique features to develop a competitive wellness tourism image and product. For example, focus on your local traditional style of yoga or meditation, or on a unique cultural or natural location for the wellness experiences you offer. 7 . Through what channels can you get your inner wellness tourism products on the European market? Tour operators specialised in inner wellness tourism or your destination offer the best opportunities. They are generally more dependent on and willing to cooperate with local partners. Examples of wellness-specialised tour operators are Fit Reisen (Germany), Health and Fitness Travel (United Kingdom) and SpaDreams (France). European tourists increasingly book their holidays directly with service providers at the destination. To increase your chances of direct sales, you can promote your product on relevant wellness (tourism) websites/portals. 8 . What are the end market prices for inner wellness tourism products? You can compare prices for wellness travel products online, for example at Book Yoga Retreats. Create a unique product to be able to ask a higher price. Inner wellness tourism is a niche market, where consumers are looking for specific products and willing to pay a premium for those.